NEW COMMITS: The University of Michigan has received three more verbal commitments for the Class of 2022: one to the women’s team and two to the men. They are Caroline Sisson, Ian Miskelley, and AJ Bornstein. Sisson and Miskelley are club teammates. They’ll suit up along with David Cleason, Will Chan, Katie Minnich, and Alexis Wenger next fall. 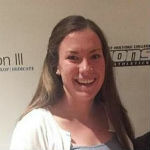 Bornstein is a USA Swimming Scholastic All-American and a NISCA All-American from Ridgefield, Connecticut. He swims for Ridgefield Aquatic Club and is a senior at Ridgefield High School.